I’ll include Vickie’s sign at the end of the above post. There still doesn’t seem to be a way to include photos in comments, only in the original entry. Thanks for the post. 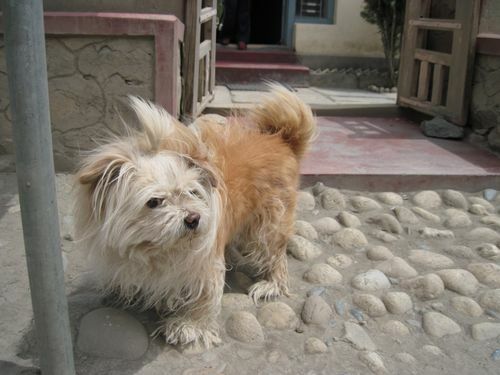 Tashi the Lhasa Apso was a very friendly dog, and he would come running. Hey, is that Riley I see in the upper left hand corner? 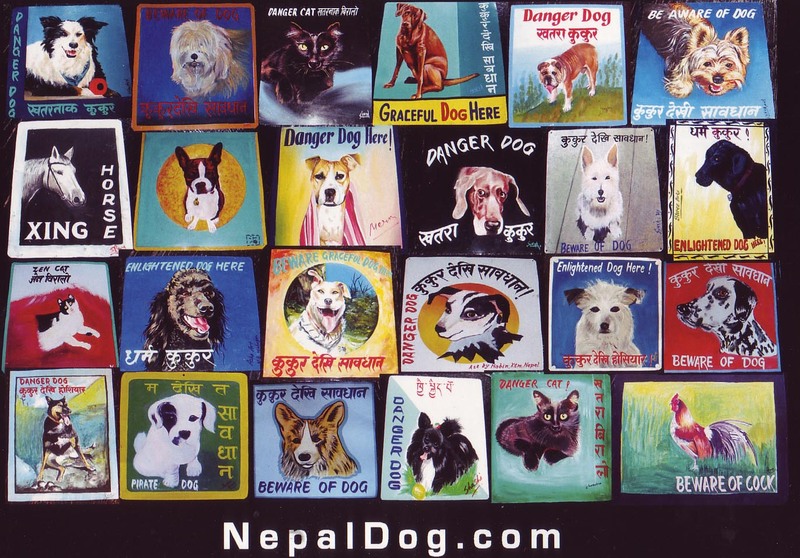 What a neat idea for Nepalese artists. 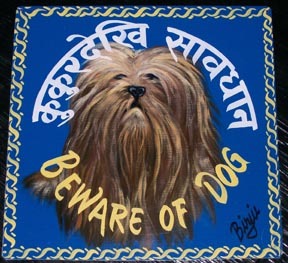 I like seeing Lhasas as they are in Nepal. With a little white paint along the side of the left ear, it would be Riley!